Sometime back in September 2015 we decided we wanted to produce a quick horror audio drama, just for fun. In Intensive Care fashion, we asked some of the fellow audio drama producers living in the Northeast if they wanted to be a part of some Audio Drama Day mayhem. 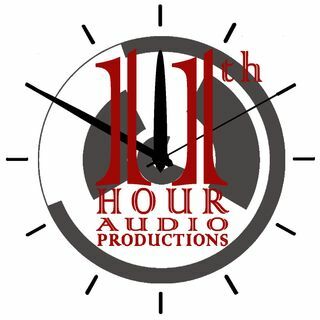 The response was a resounding “Hell Yes!”, and 11th Hour Audio Productions was born. Each October, we will feature new stories created by Audio Drama teams from all over the world to tingle your spine and shiver your soul.